Cellucor P6 PM is a supplement that’s been specifically designed to provide its benefits during the night. We came across P6 PM on the supplements section of Amazon, so we naturally wanted to find out a bit more about. Cellucor are one of the biggest names in the supplements industry, so we’re always excited to hear about their products. So, if you’re looking to find out all of the important information about this supplement, then you’ve found the right article. Our Cellucor P6 PM review is going to focus on all of the important things that you need to know about this particular supplement, as we drill down to try and discover where it ranks in relation to the leading so-called ‘testosterone boosters’ available at the moment. We’re going to pay particular attention to the ingredients formula, the servings and the customer reviews as we look to try and see just where this product stands. 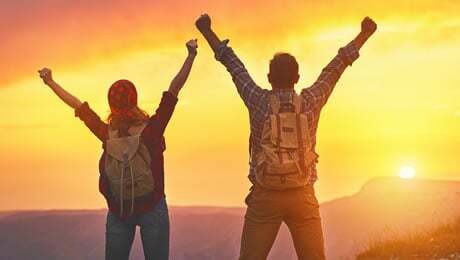 Most supplements like this are designed to be taken throughout the day, so it’s certainly somewhat unique to come across a product that has been specifically formulated to be consumed just before bed. So, let’s now start taking a closer look at Cellucor P6 PM by going through the basic facts about this supplement. What does Cellucor P6 PM do? So we’ve already deduced that Cellucor P6 PM is a supplement that’s designed to work at nighttime to help during the recovery process. Indeed, the marketing material on the official Cellucor website says that this supplement has been designed to take the emphasis off training and instead place it on “the important recovery state”. 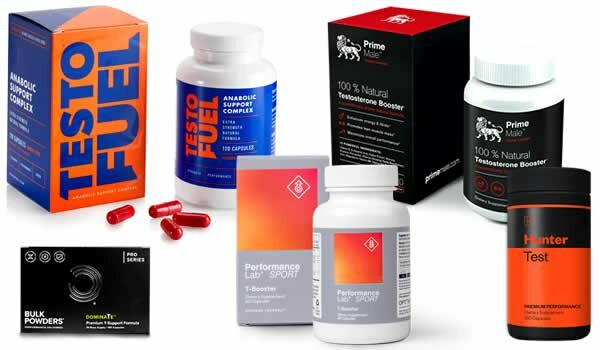 This is certainly a unique approach and it sets P6 PM apart from a lot of the other products on the market these days, many of which are geared towards the gym. 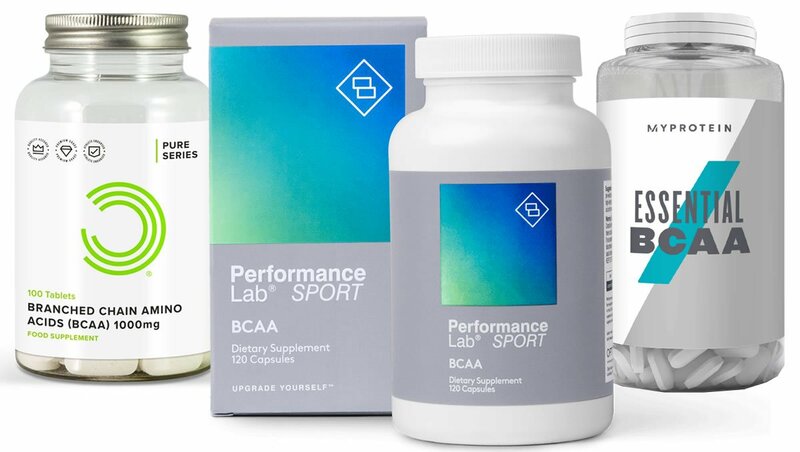 The health and sports supplements market has exploded in size in recent years, and that means that there’s more choice than ever when it comes to picking a product in this category. The marketing material on the website goes on to claim that P6 PM could help you in a number of different areas. 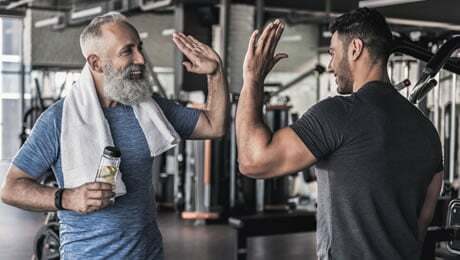 The promotional material continues by claiming that Cellucor P6 PM will help to promote a number of different things – but this is no surprise really. So, Cellucor P6 PM is certainly make a lot of the right noises when it comes to the marketing messages – but can it live up to the hype? Let’s drill down on the ingredients now to find out. 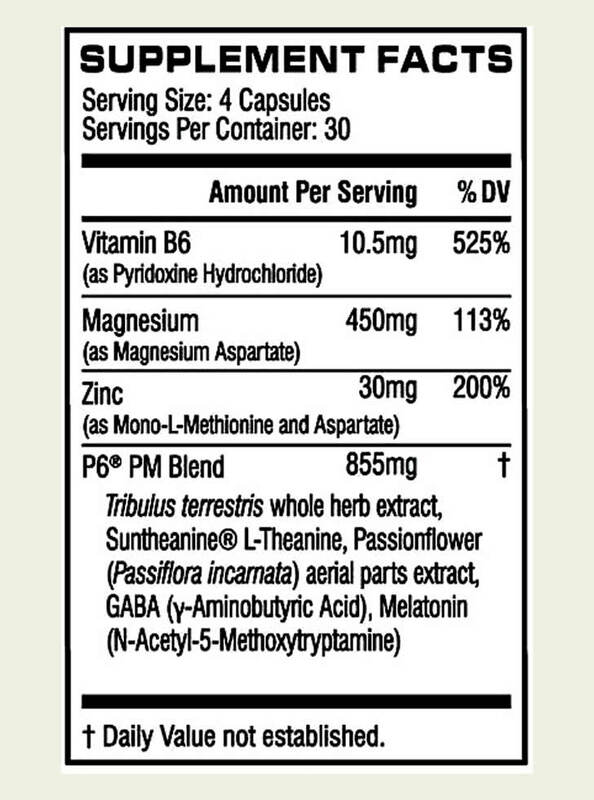 Let’s begin this part by taking a close look at the actual ingredients label of Cellucor P6 PM. We’ve got to say that we were very disappointed to see that Cellucor P6 PM uses a proprietary blend to mask the doses of some of the ingredients in the supplement. Proprietary blends are when the manufacturer chooses to hide the doses of some of the ingredients and instead only tell us the total ‘blend’ dose. This is not good news, as it means that we don’t know how much of each ingredient is actually in the supplement and it makes it really tricky to judge the effectiveness. 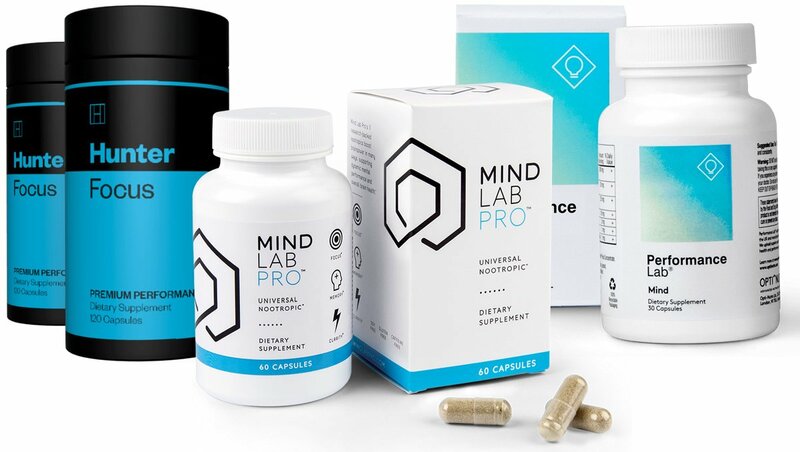 Generally speaking, we advise that you stay away from products that uses proprietary blends – as it’s always better to know exactly what’s in the supplement you’re taking. Let’s now focus on the individual ingredients in the Cellucor P6 PM formula. • Vitamin B6 – We always like to see B Vitamins included in fitness supplements because they play an important role in the body. Also known as pyridoxine, Vitamin B6 in particular can help with the reduction of tiredness and fatigue. • Magnesium – Magnesium is a great ingredient for so we were pleased to find it in the Cellucor P6 PM formula. It’s an essential mineral which is a co-factor to many important processes in the body. In case you didn’t know, Magnesium is known for helping to play a role in the reduction of tiredness and fatigue. • Zinc – Zinc is another important ingredient, so it’s a good inclusion. Another essential mineral, Zinc is known for contributing to the maintenance of normal serum testosterone concentrations. Again, getting Zinc from your diet can sometimes be tough, so we were pleased to find it in this formula. • L-Theanine – This is the first ingredient in the proprietary blend. L-Theanine is an amino acid found primarily in tea leaves. It’s actually an ingredient which makes its way into some of the best pre workout supplements, but it’s not a bad inclusion in P6 PM. • Passion Flower – This is not the most common ingredient for a supplement like this. It’s sometimes consumed as a hot tea drink at nighttime, which is presumably why it’s been included in the P6 PM formula. • Melatonin – This is a hormone that your body produces naturally at nighttime to help you to feel tired and drift off to sleep. We’re not sure we’d want to be taking this hormone on a regular basis, and it is not available over the counter in some countries, including the UK. • Tribulus Terrestris – This is a plant extract which found its way into a lot of the supplements in this category. Cellucor say that they’ve included it because it supports a range of things. However, we are not too convinced about it and don’t rate it as one of the best ingredients. • GABA (y-Aminobutyric Acid) – This is the main inhibitory neurotransmitter in the nervous system. However, it’s not thought to be that effective when taken as an oral supplement, so we’re not really convinced about its inclusion. D-Aspartic Acid is our favorite ingredient for a supplement like this. Many of the top products in this category feature it as an ingredient. Boron is another good mineral, while Black Pepper Extract is often used in the leading supplements in this and other categories. 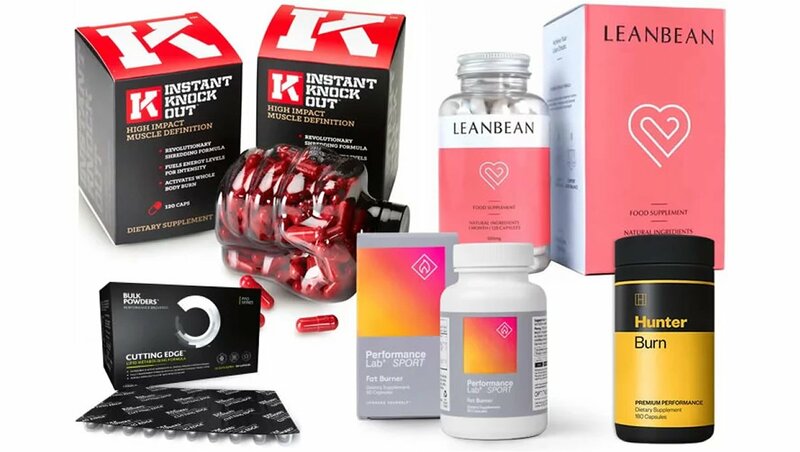 You can see our guide to the leading five supplements on the market right now by following the link shown below. 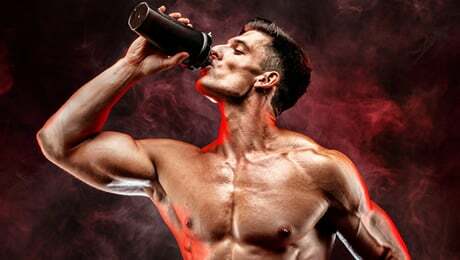 Are there any Cellucor P6 PM side effects? The Cellucor P6 PM formula looks like a relatively safe one – but we do always recommend that you go through the ingredients label and do some of your own research before trying a new supplement for the first time. As we mentioned above, Melatonin is a hormone that your body produces naturally, so taking it on a regular basis may not be a good idea. Melatonin is also not available without a prescription in some countries (such as the UK) – and that suggests that it’s best to be careful and speak to your doctor before taking it. Each bottle of Cellucor P6 PM costs $39.99 and contains 120 capsules, which is a month-long supply. The directions are relatively straightforward. They say that you should take four capsules, preferably on an empty stomach, 30-60 minutes before bedtime. They also recommend that you don’t take it with dairy or other calcium-containing foods or supplements. At the time of writing, there were 245 Cellucor P6 PM reviews on Amazon, with an average rating of 3.8 out of 5 stars. One happy customer claimed that it was the “best” supplement out there and that it helped them on their journey. However, one person was not so happy and said that they kept waking up in the middle of the night while taking this product. Not really. Cellucor certainly deserve some praise for producing something of an innovative formula, but we still don’t rate it as one of the very supplements out there in this category. That’s because it uses a proprietary blend and is still missing some key ingredients such as D-Aspartic Acid. Remember to check out our updated guide to the best five supplements around via the link shown below. Just remember that if you want to see real results, you must make sure that you’re training hard, eating right and getting plenty of rest. 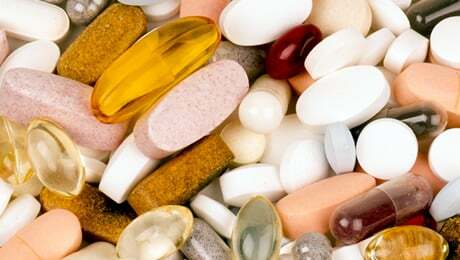 Adding a supplement to your regimen should really come second after having got the basics on point. That said, adding a quality supplement to your regimen can indeed help to support you on your journey if used correctly. That brings us to the end of our Cellucor P6 PM review. Overall, we think that this is an OK supplement that could help to support you as you look to achieve your goals. However, the fact that it uses a proprietary blend and misses some key ingredients really lets it down. In short, there are some other better products out there right now in our opinion.